Greetings from Raydisense academy Mam. This is regarding our upcoming workshop .Children are preparing for their exams. 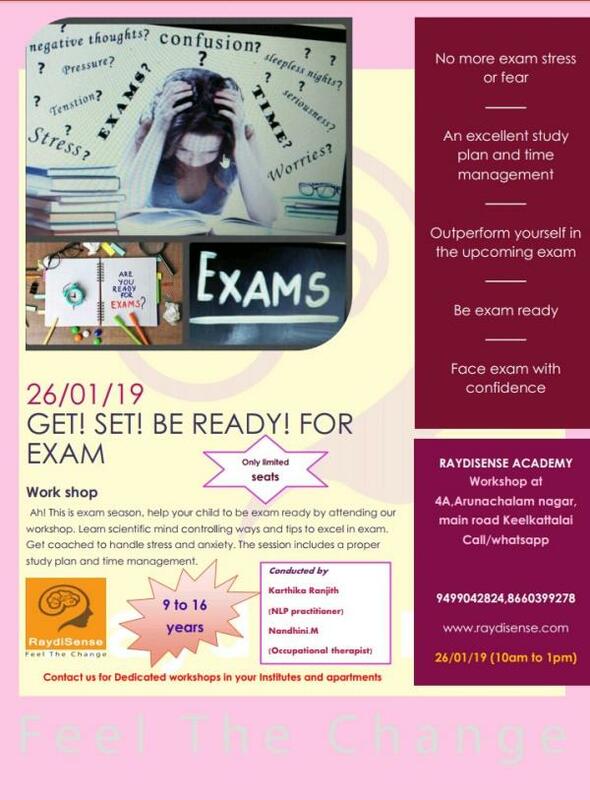 In a way to facilitate them we have designed this workshop .This gives an insight about the science behind the exam fear, stress or anxiety. And the scientific ways or techniques to overcome that. How their subconscious mind respond to the negative comments around them during exam and how to cope up with that stress, is dealt here in the workshop.